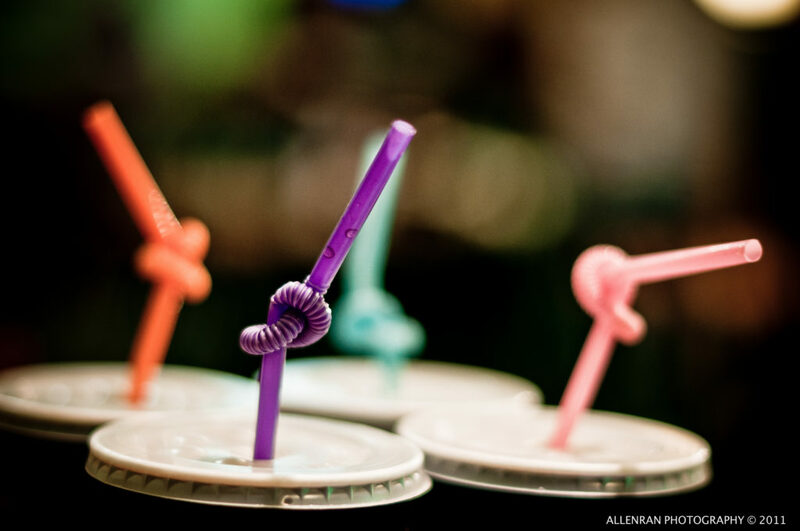 A new ban on plastic straws in D.C. went into effect at the beginning of the year. Once the grace period ends this July, restaurants and bars still stocking plastic straws will face a $800 fine. The narrow design of plastic straws makes them problematic for most recycling machinery, leading to hundreds of thousands of plastic straws ending up in global waterways each year. In fact, plastic straws are among the top 10 contributors to plastic marine debris worldwide, according to a 2017 report. Can banning plastic straws help save the region’s waterways from plastic pollution? KOJO NNAMDIYou're tuned in to The Kojo Nnamdi Show on WAMU 88.5. Welcome. Later on the broadcast, we'll check in on local charter school salaries. But first did you know that the modern drinking straw was invented here in the District in the year 1888. Well, this may be the birthplace of the straw, but plastic drinking straws are no longer welcome in D.C. A new ban on plastic straws and stir sticks went into effect at the beginning of the year in the District making D.C. the second major U.S. city to implement such a ban. Seattle made the change six months ago. KOJO NNAMDIProponents of the ban say it will keep tons of plastic waste out of area waterways helping to restore the Anacostia and Potomac Rivers. But, of course, like most new laws in the District, the new ban is not without its critics. Joining me in studio to discuss the issue is Katherine Antos, Chief of the Partnering Branch at the District Department of Energy and Environment. Katherine Antos, thank you for joining us. KATHERINE ANTOSThank you so much for having us, Kojo. NNAMDIAlso in studio with us is Dan Simons. Dan is co-owner of Farmers Restaurant Group and Founder of Our Last Straw. Dan, good to see you. NNAMDIJoining us by phone is Roland Geyer. He's an industrial ecologist and professor at the University of California, Santa Barbara. Roland Geyer, thank you for joining us. NNAMDIKatherine, D.C. passed a ban on disposable food service items that cannot be recycled or composted in 2014, but plastic straws were exempted. Why and what has changed now? ANTOSThat's a great question. And the recent straw ban is just the latest chapter in the District's efforts to eliminate single use plastic that enters our communities and enters our rivers and streams. So a lot of what we have been doing actually started with the Anacostia River Clean Up and Protection Act 10 years ago, which placed a five cent fee on single use paper and plastic bags. ANTOSAnd then as you mentioned five years later, the District passed the Sustainable D.C. Omnibus Act, which required businesses and restaurants that are selling or distributing food within the District, they can only use food service ware that is recyclable or compostable. And by food service ware I mean plates, bowls, cups, clam shells. So the first element of that law that took effect was the foam ban in 2016. And then shortly after that it extended to other products to ensure that they are recyclable or compostable. ANTOSSo an example is you're wrapping a sandwich in a liner that's foil on one side and paper on the other, the foil separately would be recyclable. The paper separately would be compostable recycling, but when it's together it's neither. So that is no longer allowed in the District. Originally when we established that list of what is recyclable and compostable there was an exemption for small items including straws and stirrers. ANTOSHowever, last year we really saw the market for compostable straws change. And all of a sudden there are now alternatives that are out there for paper straws, for compostable plastic straws, for hay straws, you know, the original straw straw and so taking that into account we realized there were other more environmentally friendly alternatives. And so it was time to update that ban to also have it cover plastic straws. But, again, the straw ban is just one element of our broader efforts and it's an area where the District has really led the country in terms of going after single use plastic waste. NNAMDIHow is the straw ban being implemented and enforced? ANTOSWe have a team of inspectors that goes out. And the first thing they did when we made this update to also include straws and stirrers is we reached out to the almost 6,000 restaurants, businesses, and institutions that were impacted through mailers, through in-person visits. We started doing inspections in January. At this point if we're finding a business that's not in compliance, we're giving them a warning letter, but we aren't going to actually start issuing fines for violations until July of this year. NNAMDIDan, you and your organization, Our Last Straw, have been very vocal advocates for this ban in D.C. Why did you decide to take this issue on? SIMONSWell, as a business person I'm really an advocate for my own business and my business community and our industry. But I'm also an advocate for myself and what helps me sleep well at night. And I'm an advocate for my children and I think what I leave behind and what they're going to hold me accountable for. So I saw an opportunity to lead as a business person understanding profit and loss and understanding supply chain through the lens of the planet matters. And it just inspired me to get outside the four walls of the restaurant where I am every day and create this non-profit and kind of bring -- and create a broader, but business led coalition. NNAMDIBut before that even, for years you used compostable straws in your restaurant, spent a lot of money on that. SIMONSSo my partners in addition to Mike Vucurevich, my restaurateur partner, my larger group of partners are American Family Farmers and from when we opened the first restaurant we've, you know, cared and advocated on issues that affect the planet and our environment and our community, things that farmers would naturally care about. So I've never used plastic straws. I used compostable plastic. And I thought I was paying more. And I thought I was doing a good thing. And we actually run a compost program in the restaurants, which is expensive, but important to do. SIMONSBut I then learned that a lot of straws still don't get into the compost stream. And if a compostable straw, compostable plastic ends up in the ocean, it behaves like a regular plastic straw. So several years ago I just learned and realized I was ignorant. And I just dug into the topic and I realized that you really need a truly biodegradable or what I now call marine degradable straw if you want to use one. And so through a lot of learning I've evolved and I keep trying to raise the bar for myself and my team. NNAMDIRoland Geyer, help us understand the impact of plastic waste. In 2015, humans had generated 6.3 billion tons of plastic waste. And to just bring it into perspective for our local listeners. Last year doing just one Earth Day clean up volunteers gathered 4,026 straws from the shoreline along the Anacostia River. Tell us about the end of the life cycle for plastic. Where does the waste end up? GEYERRight. There are really only three things we can do with solid waste and plastics. We can recycle it. We can incinerate it and then we can landfill it. And then of course, if we do neither of these managed end of life fates then, you know, the waste might just end up in the natural environment. So it comes down to those four fates. NNAMDIWhy is so little of plastic waste recycled and why is the rate of plastic recycling in the USA below the global average? GEYERSo recycling is, you know, you can mandate it or you can have it market driven. And I think in the U.S. the U.S. relies a lot on just the markets. And the economics of plastic recycling are just really really poor. So it's not economically attractive. So that's why there are very few marketing centers. So our collection, sorting infrastructure is sparse and not very modern. And there's very little plastic recycling capacity in the U.S., which is why until recently, the U.S. shipped about 50 percent of its collected plastic waste for recycling to China. So the economics at the moment simply don't work out. NNAMDIBut we're not shipping that to China anymore, are we? GEYERNot anymore. No. China now has officially refused to accept contaminated plastic for recycling. So currently it's -- either it gets landfilled or it goes to other Southeast Asian countries. I really hope that it, you know, tells us that we need to deal with our plastic waste here domestically. NNAMDIOn to the telephones. Here's Kathy in Washington D.C. Kathy, you're on the air. Go ahead, please. KATHYHi, I'm Kathy Clem and I'm the vice chair of the D.C. Chapter of the Sierra Club. And I just want to congratulate the city for taking this bold measure. You know, composting straws is not going to save the world, but I think that what it really does is raise awareness about how much plastic there is in our lives and how difficult it is to get rid of. And I hope that it will really put some pressure on businesses. Our Founding Farmers taking the lead on that and really looking at ways to reduce plastic in their waste streams and the plastics that they give to consumers. So thank you all for your efforts. NNAMDIGlad you brought that issue up and thanks for your call, Kathy, because, Katherine, some statistics show that 500 million straws are used in the United States each day. But plastic straws make up less than one percent of the trash in the Anacostia and Potomac Rivers. So skeptics may ask, why is this ban necessary? What about the giant plastic disposable cups those straws often accompany? ANTOSThat's a great question. So certainly straws are not the largest source of plastics that are entering our streams. But any type of plastic that we don't need is too much. And the issue is with plastics when they break down, then marine life starts to eat them. And we actually have fish and birds that are dying, because they're ingesting plastic. ANTOSAnd so in terms of what we have done more broadly to address food packaging, plastic food packaging, we are not just looking at straws. We're looking at those larger sources that are out there. The foam cups, the foam bowls, other types of materials making sure that they're recyclable and compostable. What we do know is that the larger source of trash right now entering our waterways is beverage containers. And that's something that we are not working on now, but we are aware that it is the largest source of trash that's entering our waterways. NNAMDIBut during the debate leading up to the ban there was also concern that a ban on straws creates an access issue for people with disabilities. Does the ban take into the consideration that people with disabilities or others who have a physical need to drink with a straw? ANTOSIt absolutely does. That's a very important point. So in all of the outreach we have done with restaurants, with businesses, with other institutions, we've let them know that they need to keep an inventory of plastic straws on hand so that individuals with disabilities, who need a straw in order to have a beverage or to have food that they have access to that. NNAMDIHere is Richard in Washington D.C. Richard, your turn. RICHARDIf I'm customer in an establishment that's still serving plastic straws, how do I approach management about coming into compliance? NNAMDIFirst un-ball your fist and then, Dan Simons? SIMONSWell, what I would love folks to do is just, you know, politely ask for the manager or the supervisor and ask them if they are aware of, you know, anything about plastic straws direct them to ourlaststraw.org. We are working closely with the city, again, from a business perspective to provide information on supply chain and solution, help with -- if they think there's an economic impact on their business -- so that's really the action step is you can direct them to DOEE. But I think directing them to ourlaststraw.org is a great place that you can help your favorite restaurant go to get the information they need. NNAMDIAnd you may have answered Simone's question. Simone in Washington, did Dan Simons just answer your question? SIMONEPretty much. I just wanted to also express that I'm really encouraged and it's really great to see DOEE and D.C. government partnering with businesses to continue this effort. But, yeah, just curious what individuals do to advance the efforts that you guys are doing? ANTOSThat's such a wonderful question. And in terms of plastic waste there's so many things that individuals can do. You can choose to use a reusable water bottle or a reusable beverage container. When it comes to straws, you don't need a straw at all or if you do need one then use a compostable alternative unless you're an individual who really does that plastic straw. Other things that you can do: if you're using plastic make sure you dispose of it properly, recycle it or else throw it in the proper waste receptacle, don't liter. ANTOSAnd then if you as an individual want to get more involved, April is such a fantastic time of year in this region to get involved in a community clean up, working with the Alice Ferguson Foundation, or the Anacostia Watershed society. Each April they bring out hundreds of volunteers to do clean ups in this area. So those are all things that people can do to reduce their environmental impact specifically related to plastic and trash pollution. NNAMDID.C. has set its sights on the last straw. What are your thoughts on the ban on plastic straws in the District? Do you think more local jurisdictions should implement similar bans? We're going to take a short break. But you can still call 800-433-8850. If you have called, stay on the line. We'll get to your calls. You can also send us a tweet @kojoshow or email to kojo@wamu.org. I'm Kojo Nnamdi. NNAMDIWelcome back. We're talking about D.C.'s recently implemented ban on plastic straws and its implications for the environment. Katherine Antos is Chief of the Partnering of the District of Columbia Department of Energy and Environment. Dan Simons is co-owner of Farmers Restaurant Group and founder of Our Last Straw. And Roland Geyer is an industrial ecologist and professor at the University of California, Santa Barbara. Roland, plastic straws are cited by environmental groups as one of the top contributors of marine waste. Tell us what your research uncovered about the magnitude of plastic waste going into our waterways and oceans. GEYERYes, so one of the numbers that gets cited a lot is from the ocean conservancy. They have these annual beach clean ups and there they show that straws and stirrers are the fifth most common items found on beaches, but that's by count. That's not by mass. So, of course, by mass it would be much smaller. So we did research where we tried to quantify how much plastic we think enters the ocean in a given year. And our year of study was 2010 and we estimated that about eight million metric tons of plastic entered the oceans from land, which took us aback. So everyone was really taken aback just by the sheer quantity of plastic that we think gets into the oceans every year. NNAMDIWhat about plastic straws in particular, Roland, why are they not recycled? GEYERMy guess is that they're just really too small an item. So even if we were to throw them in the recycling bin with all the other bigger items and all the other materials they go to a so called material recycling facility, MERF. And the materials and the items all need to be separated there to be sent off to their various recycling reprocessing facilities. And very often that sorting is done manually. GEYERAnd can you imagine, you know, a fast moving conveyor belt and people having to pick out individual straws. And then even if that somehow was feasible then these straws would be contaminated. We wouldn't, you know, would be mixed different types of plastic. So it's -- yeah. I would plastic straws are more or less infeasible to recycling. NNAMDIWe got a tweet from Victor who says that plastic straws need to go, but paper straws are not an acceptable alternative. They're just not functional. And here's what Gioti in Washington D.C. has to say along similar lines. Gioti, you are on the air. Go ahead, please. GIOTIHi, Kojo. Wonderful to be back on your program. I'm a tea drinker and sometimes a coffee drinker, too. And many years ago, when I had to go do my cleaning, the dentist said, well, your teeth are getting stained. We advise you to drink your tea through a straw. And I took their advice and since then the staining has considerably decreased. There have been no complaints there at all. GIOTII find the new straws (unintelligible) they just don't work with hot beverages. So I'm all for reducing plastic pollution. I realize that's very important, probably -- if you compare that with the staining of the teeth problem, probably a more important thing. But what will you replace that with? I think it should be usable with hot beverages. That's my point. NNAMDITo which you say what, Dan Simons? SIMONSI think we all just need to have priorities. I mean, there's a lot of straws out there that are degradable that you're right, may not work for hot tea beverage. But I have a paper straw American made in all of our restaurants and they work fine in hot beverage, for 20 minutes, no, probably not, but if you really need a beverage and whether it's a disability or preference for your teeth, super, use a paper straw. And if there's some diminished effectiveness of that straw, I think you can celebrate that, because you're alternative is as this perfect plastic straw that you'll use for 90 seconds or three minutes and that the planet will own for 1,000 years. NNAMDIIs there a reusable straw that someone like Gioti can use, Katherine? ANTOSYeah, there's several different types of reusable straws as well. There are metal. There are glass. There are silicon. So certainly there's different options that are out there in addition to what Dan described in terms of compostable paper straws. Also compostable plastic straws can handle beverages up to, I believe, it's 120 degrees and then also hay straw. So they're different things that people can try and just figure out what are they most comfortable with that is an alternative that as Dan said isn't going to remain in our environment for hundreds or even thousands of years. NNAMDIGot a tweet from Sebastian who says, I hope that Maryland will soon follow suit. It's great that compostable straws are now required, but can you talk a little bit about efforts to decrease straw use in general with policies just only provide straws when asked. Dan? SIMONSSo this really what we're pushing and trying to educate the general public on. I know a lot of folks care and so for us this is what we'd say is hashtag stop sucking and you can take this pledge at ourlaststraw.org. And this is where you can just order your drinks and say, hold the straw. I think what folks find is that, you know, you go home at night after work. You pour yourself a drink of whatever and you drink it without a straw. And so it's just about creating that habit. Ordering drinks without the straw. SIMONSAnd as the consumer demand decreases and as restaurants -- we have hundreds in our coalition, they are all -- in addition to not using a plastic straw they're only offering straws on demand. So if you have a milkshake, and you know that you want a straw with that milkshake, super, you should get one. You should get a big fat awesome milkshake straw made of paper or made of hay and it works great. So I think that if you stop sucking and you have that awareness it's really no down side. NNAMDIThere is added cost for businesses as the more environmentally friendly straws are pricier. What about the small businesses like local carry-outs and delis with smaller margins? Is this going to be a financial burden on them? SIMONSThis is where my role as a business person is so important, because I know my way around a P and L and I understand the impact of cost and there's simple math that if your paper or biodegradable straw is going to cost three times more, but you give out three times fewer, you can end up with a net zero impact on your P and L. So we definitely need the public support to use less, to demand less. Only have the businesses offer them when they're really required and that allows us to spend a little bit more on a straw that is made of a far more reasonable and conscious material. NNAMDIHere's Ana in Washington D.C. Ana, your turn. ANAHi, Kojo and everybody else. I just wanted to say that I'm so thankful for thoughtful business leaders like Dan and organizations like Our Last Straw, I 'cause I really am passionate about this issue. I think that similar to the carbon emissions reduction, this is one of those things where policies are only realistic way to overcome the momentum of the plastic pollution. And even when you do have thoughtful consumers, who do make an individual effort, it seems like everything is set against you. ANAAnd we talk about the infrastructure issue. So I'm just curious what the panelists' thoughts are on the future of both local and D.C. and national policy in terms of coupling with industry leaders like Starbucks or Coca Cola or these other, you know, huge producers of plastic pollution. We mentioned the bottles, other food packaging, etcetera. You know, how can government, you know, partner with these leaders to address this issue? NNAMDIDo you think that's what will be absolutely necessary, Roland Geyer? GEYEROh, absolutely. I really agree that consumers can't be left alone trying to solve this problem. So I think we need consumers, governments, and industry really to come together and all contribute to solving that problem. And as Dan said, you know, the best way is simply using less plastic. There's no question about that and then recycling. As we're doing it at the moment for plastic really isn't working. GEYERSo if we still think recycling should be an important part then, you know, it's a good time to rethink recycling. To think about mandating recycled content. And making sure it's labeling properly so consumers get a choice between things made from virgin things made from recycled plastic. But again, you know, the waste hierarchy teaches us reduce, reuse, recycle. So nothing beats reduction. NNAMDIRunning out of time very quickly, but I wanted to get Jamie in Washington D.C. in. Jamie, you're on the air. Go ahead, please. JAMIEHi. I'm with a little lobbyist and my daughter has significant disabilities and really relies on plastic straws to be able to drink when we go out to eat. And since the ban has taken effect, we've already had problems twice where she hasn't been able to drink at all, because plastic straws weren't available to her and that meant she couldn't eat because as a result of her disability she needs to be able to drink when she eats. So I'd like to know what's being done to make sure that people with disabilities, who really need plastic straws and for whom there really are no effective alternatives -- what kind of accommodations are being made for them? NNAMDII'm going to ask Katherine Antos to respond to this, because they are supposed to make those straws available. There's been a lot of media coverage in the last few weeks of the D.C. Department of Energy and Environment Employees, who are tasked with carrying these plastic straw inspections and handing out warnings. Some D.C. residents have even voiced concerns about footing the bill for these inspectors, but you say they're a lot more than straw cops. ANTOSYeah, and so a few things, one under the American with Disabilities Act and the D.C. Human Rights Act, these restaurants needs to be offering plastic straws to individuals that need it. In terms of the attention that our team has been getting in terms of enforcing this law, what they do is so much more than just enforcing the straw ban. ANTOSA lot of what they're doing is also outreach working with Our Last Straw to make sure businesses know where they can get alternatives that are compliant. They also do enforcement of our bag law, of our foam ban, of our other food service ware requirements. They do inspections to make sure that we aren't using toxic pavement sealants on paved lots in the District. So these individuals do so much more than just enforcing the straw ban. The other thing that I want to point out in terms of cost is the cost that the District spends in terms of reducing trash and liter from our waterways. ANTOSThe District Department of Energy and Environment alone spends over a million dollars a year in terms of operating trash traps, supporting community clean ups, helping to target street sweeping in the areas that are the largest sources of trash, many other activities that we're doing. Education and outreach and then also making sure we have an enforcement team that upholds these laws and so if we can go after these sources of plastic at the source that's saving tax payers' money. ANTOSAnd we have seen compliance rates increase as these laws take effect. When the bag law first came into place, there was only a 41 percent compliance rate. Now it's 73 percent. The foam ban started at 78 percent. Now it's 92 percent. So we know that these solutions work. NNAMDIKatherine Antos is Chief of the Partnering Branch of the District Department of Energy and Environment. Dan Simons is co-owner of Farmers Restaurant Group and founder of Our Last Straw. And Roland Geyer is an industrial ecologist and professor at the University of California, Santa Barbara. Thank you all for joining us. Coming up next, we check in on local charter school salaries. I'm Kojo Nnamdi.